In the first year of his presidency, President Donald Trump came through on his promise to support rural Americans and agriculture. Unfortunately, many news outlets didn’t give due attention to these accomplishments. Agriculture is a very important industry, and the changes that Trump has made have helped ease the burden of too much regulation on our farmers. As a young agriculture professional myself, I would like to laud the president for his stance on burdensome regulations on the agriculture industry. Under President Barack Obama, practically no water was safely out of reach of the Environmental Protection Agency. During President Barack Obama’s tenure, the so-called “Waters of the United States” rule had been strictly defined to apply to “navigable waterways” but interpreted to mean that even ditches or potholes with water in them could be regulated by the Environmental Protection Agency. This was a huge overreach by the federal government. Thankfully, Trump signed an executive order to rescind the Waters of the United States rule and give farmers back more power over their own property. Trump also is challenging an important ruling on the reporting of livestock emissions. Livestock farmers would be required to report emissions of greenhouse gases coming from livestock waste. For many years, farms have been exempt from the 1980 Comprehensive Environmental Response, Compensation, and Liability Act, which required those emissions to be reported. The exemption was allowed because tracking emissions is nearly impossible and because there’s no apparent hazard to the public. Unfortunately, the Court of Appeals for the District of Columbia Circuit disagreed and ruled that farms cannot be exempt. Trump is supporting the agriculture industry and protecting it from unnecessary regulations by challenging this ruling. Livestock farmers should be grateful for the support of the president. As Trump continues to roll back unnecessary regulations from the Obama administration, there is one more that should be recognized. The EPA under Obama banned a commonly used insecticide that had been approved by its own science advisory panel. That insecticide, chlorpyrifos, is the most commonly used insecticide by agriculture, and a ban would significantly affect the industry. Thankfully, Trump’s EPA administrator, Scott Pruitt, lifted the ban as they continue to ensure that the product is safe for use as an insecticide. This is another major win for agriculture and for rural America, and it deserves to be celebrated. Trump has proven in his first year as president that he’s listening to farmers and understands the burdens of regulation. There’s still much work to be done with what we hope will be a new farm bill this year that will assist the agriculture industry, but as someone who works in agriculture, I am appreciative of the progress made thus far by this presidency. Micaela Wright grew up on a small farm and is pursuing a masters in public administration. well, i’ll go along on 2 out of 3. the EPA overreach on water certainly needed to be retracted; now vermont needs to follow suit so our farmers whose fields flood in the spring – leading to rich grass land for their herds – don’t find themselves forbidden to let animals defecate in those “wetlands.” and the whole methane gas issue is just flatly absurd. however, there are no benign organophosphates, of which chlorpyrifos is one. broad spectrum insecticides are devastating to the natural world, with cascading effects we’re still largely unable to discern because science is not good at the big picture, only at quantifying the narrow slice. and even in minute doses, it causes human harm as well as animal. my father used to sell DDT in the second world. it’s why i and my siblings were born in South Africa. he insisted to his dying day that if DDT were used according to instructions it would be safe. he might have been right; the problem, however, is that it was more often used incorrectly, and by workers who either were not given or did not use respiration devices. the consequences were real. so it is with chlorpyrifos – with most ag chemicals, in fact, on the global scene. it’s why human and ecological harm is being done in asia, for example, by the chemical. what humans actually do must always be factored in. it’s not enough to say it’s not the chemical’s fault that too many people mis-use it. if we follow that logic we’d have to say the utopian socialists are right that communal ownership of all property would work – if only people did it the right way. since people almost never do socialism “right,” socialism is not a viable prescription for perceived economic and social maladies. organophosphates are a kind of chemical socialism. in the lab – that is, in principle – they might work beautifully, but in the field they’re a repeating disaster. 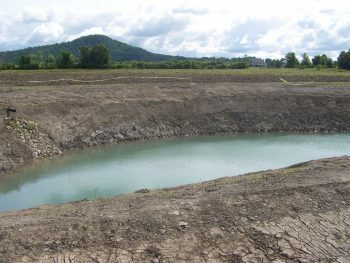 Vermont use to have hundred if not thousands of Farms, crystal clear lakes and ponds . We now have just a hand full of farms and polluted waters !! So lets put gallons ( tons ) of Road Brine on our roads be it highways or City Streets every time we get even a tenth of an inch of snow, so the idiots can still drive 60 MPH , where does all this go Runoff !! years where does are the waste water go ( they flush everything ) , down the drain into our ancient waste treatment systems the over flow runs into the lake ……………. But Lets blame the last few farms we have !! How about the carbon footprint over WashDC? They should put a glass dome over the place. It would probably explode from all the methane caused by the DC BS.